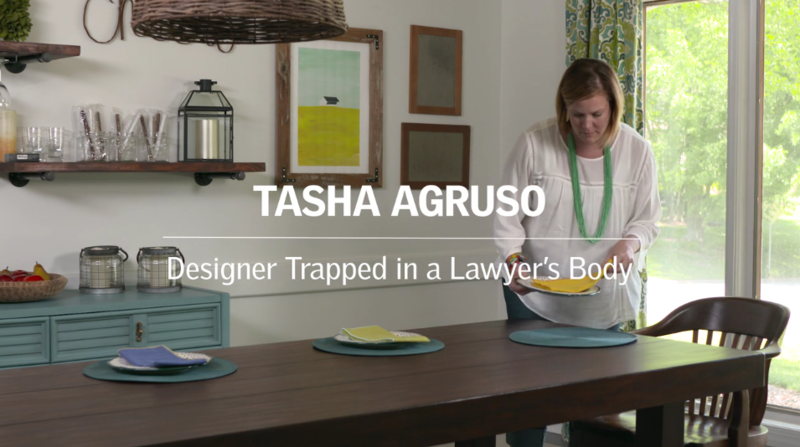 Mid-century modern design is known for its clean lines and simple aesthetic, and in California it celebrated a connection to the outdoors. 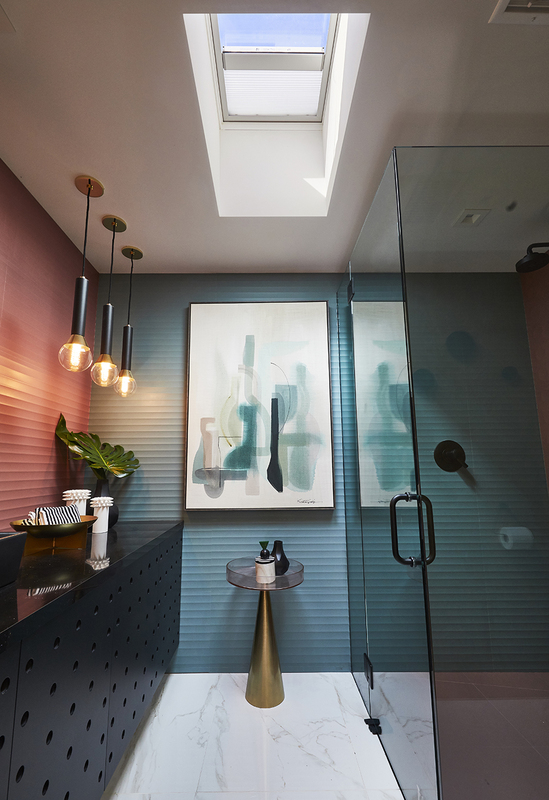 That made The Christopher Kennedy Compound: Modernism Week Showhouse 2019 a perfect candidate for a skylight upgrade. The 4-bedroom, 4.5-bath, 3,600-square-foot home built in 1962 had old, white acrylic bubble skylights in the bathrooms and kitchen, but they didn’t provide a sky view and weren’t energy efficient. 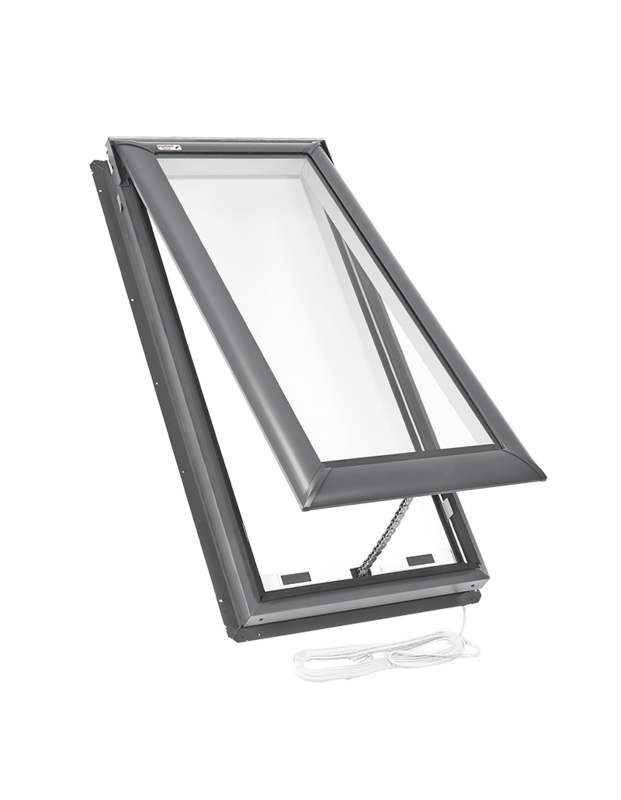 VELUX replaced the old skylights with new No Leak Solar Powered Fresh Air skylights with solar powered blinds and what a design and functional difference they make. 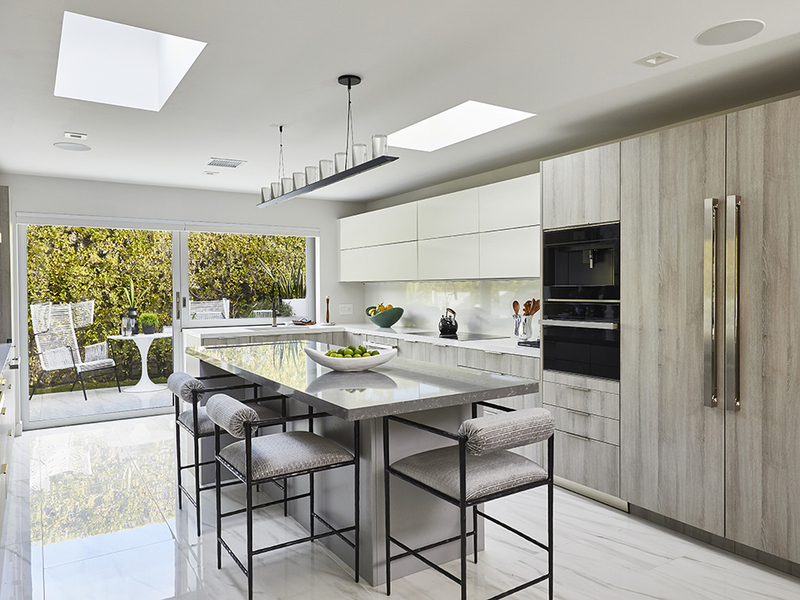 Two VELUX skylights flank the kitchen island, allowing natural light to disperse throughout the space. Not only do they provide ample natural light for kitchen tasks like chopping, cooking and cleaning, they also open to allow cooking odors and warm air to escape. Natural light from above also highlights the beautiful porcelain floors, quartz island, ash wood cabinets. 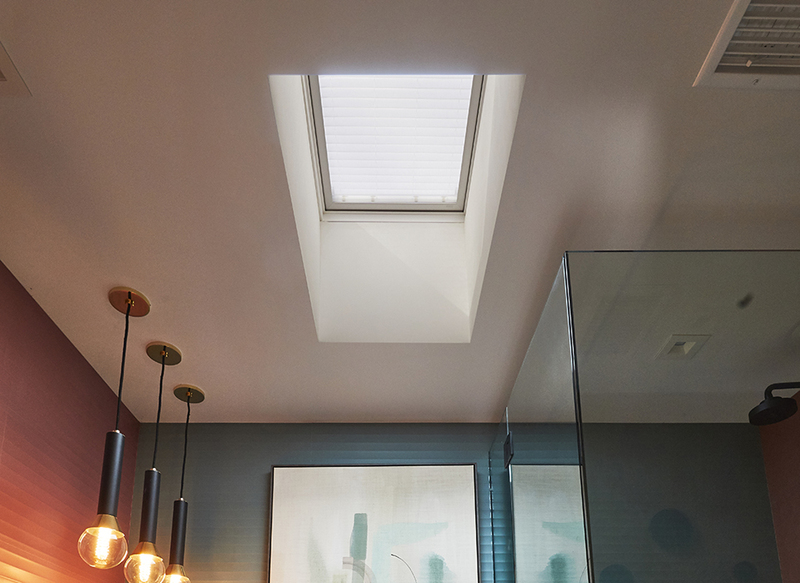 In the pool house bathroom, a single VELUX skylight brings natural light to a room in desperate need of it. Positioned between the shower and the vanity, the skylight provides clear sunlight for morning primping. It has a light diffusing shade, ideal to control the mid-day light coming into the room. 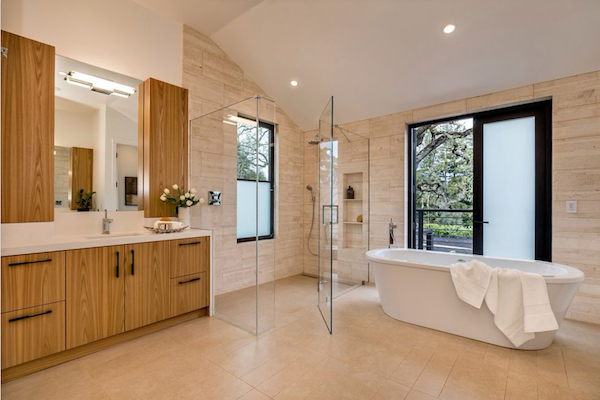 And, just like in the kitchen, the skylight can be opened to keep the bathroom fresh. 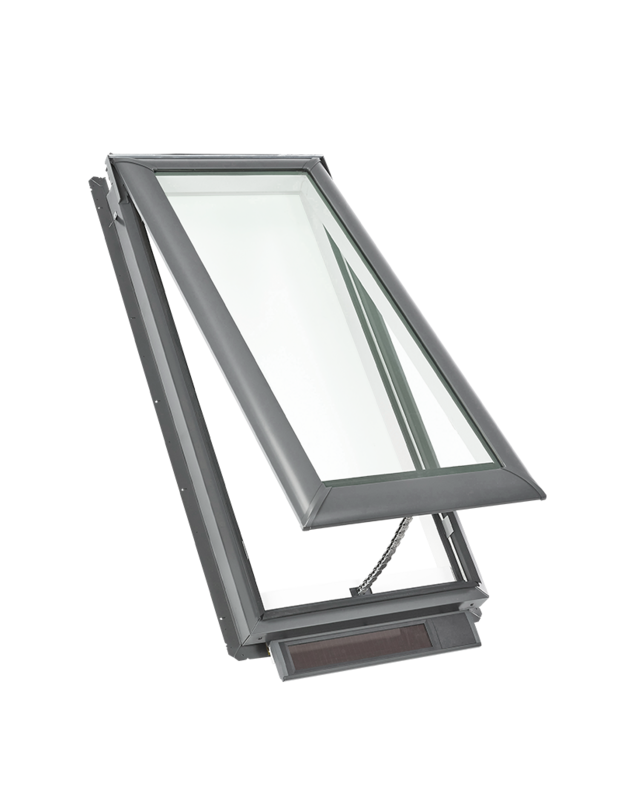 The skylights in the Modernism Week showhouse are automated using the VELUX Active with Netatmo system. The system is connected to the Internet and includes indoor sensors that monitor temperature, humidity and CO2. On a regular basis the system checks an online weather forecast and compares outside conditions to those inside. 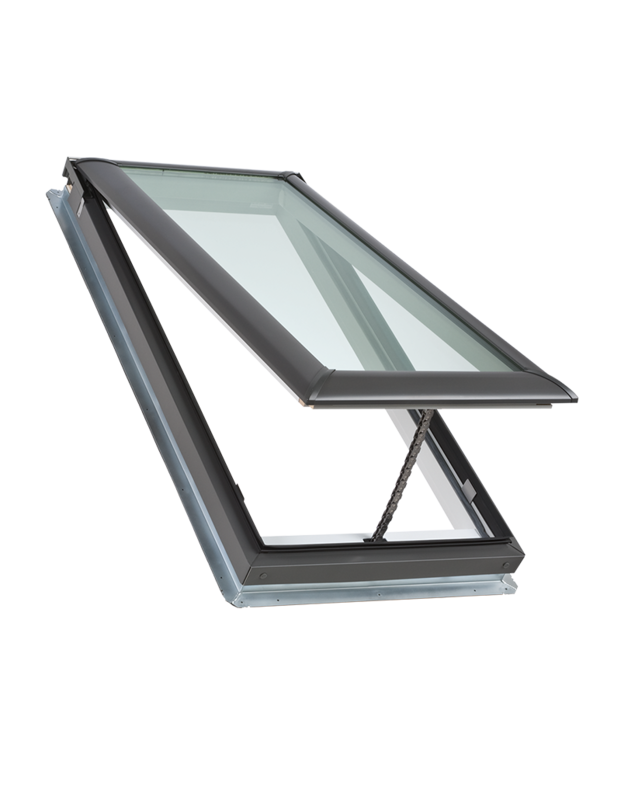 If opening the skylights would improve the temperature, humidity and CO2 levels inside the house, it will open the skylights for a short period to let stale, warm air escape. 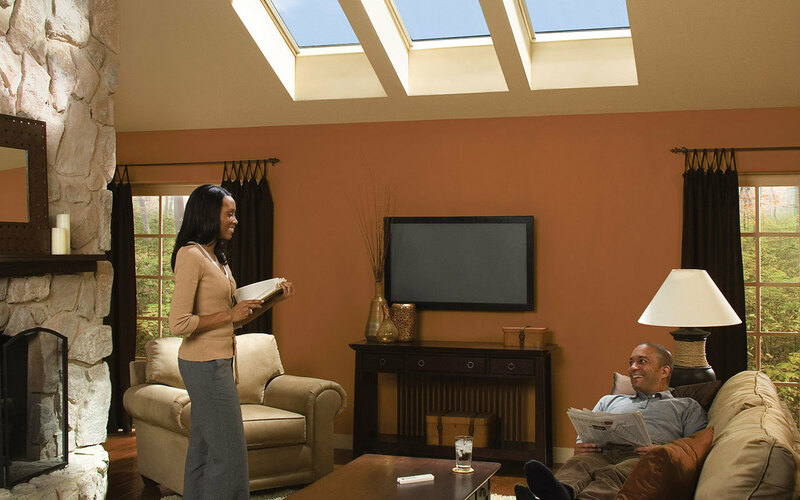 Homeowners can also program the skylights and blinds to open and close at certain times. 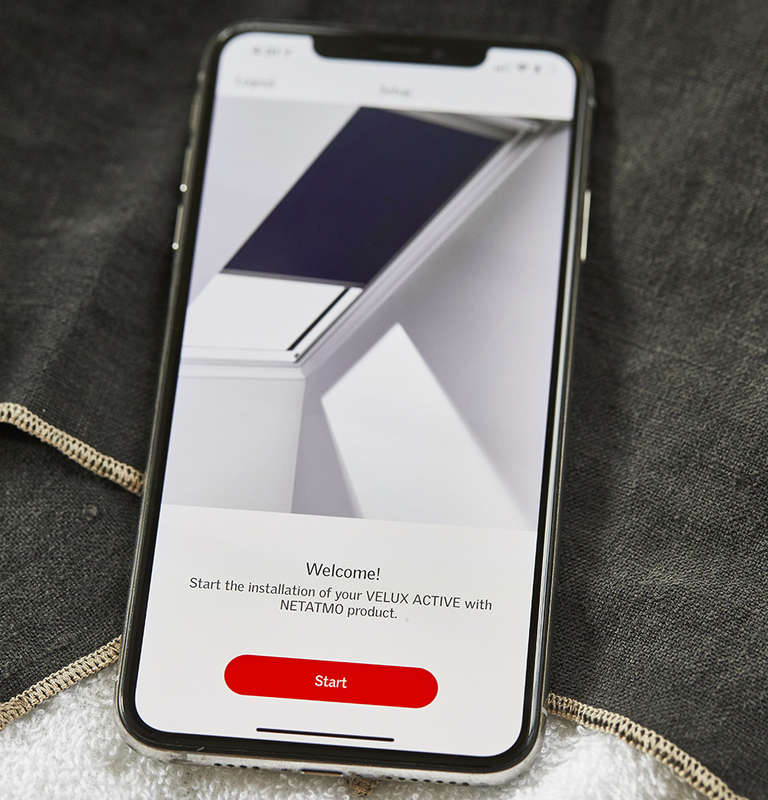 Best of all, the system allows homeowners to control their skylights from their smartphone using the VELUX Active app.